When looking for a fantastic new home, Mirabel homes for sale in Scottsdale, Arizona should be at or near the top of the list. 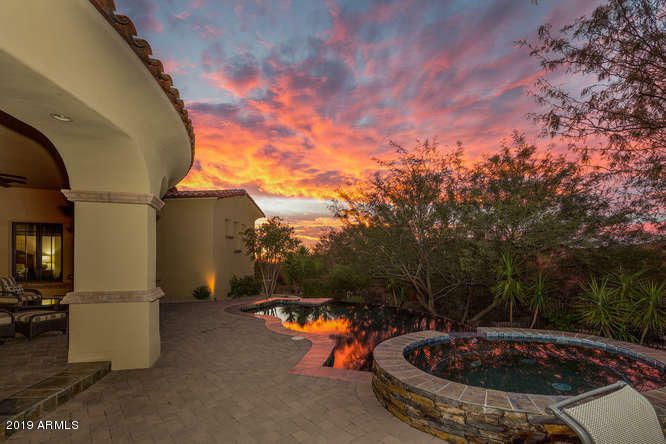 Mirabel is located in North Scottsdale and is home to the private North Scottsdale Golf Club. The Tom Fazio designed golf course is very well known and the Desert Lodge Clubhouse at Mirabel is a 34,000 square foot complex inspired by the great work of architect Frank Lloyd Wright. It is a great place to entertain or be entertained; it has award winning cuisine available either inside or on the fire-lit patios. The Desert Lodge Clubhouse also features a complete fitness center, full service salon and spa, and a resort style pool with cabanas. Mirabel has many custom homes and home sites to choose from, the sites range from two-thirds of an acre to over two acres in size. The community has guarded gates and sits on over 700 acres. The mountains and the Sonoran Desert over beautiful and ever-changing vistas to enjoy year-round, and no two homes are alike. El Corazon is a neighborhood within Mirabel with 35 custom homes with sizes between 3,100 and 3,900 square feet. 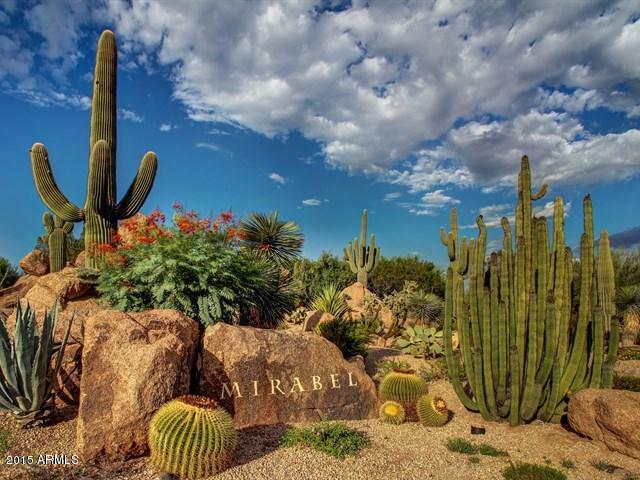 Mirabel is located in very close proximity to the towns of Cave Creek and Carefree, small villages with pedestrian friendly shopping and dining options. Carefree's Spanish Village is the place to find local artisans creating native jewelry, artwork, and home goods. El Pedregal is where the Heard Museum North is located. It includes an open-air concert stage and shops. Cartwright's Sonoran Ranch House is a top rated local steakhouse designed in local desert and ranching decor. It is a warm, family style restaurant that uses local seasonal meats and produce. Tonto Bar and Grill is a native American and Southwestern inspired restaurant which uses the freshest and all natural ingredients. Their Arizona beef is grass fed and contains no hormones or antibiotics. It offers homemade desserts and breads and has a great variety of healthy and tasty choices. Mirabel is close to Scottsdale's Center for the Performing Arts at the Scottsdale Civic Center is where over 200 performances take place in dance, classical music, jazz, and theater. The Scottsdale Museum of Contemporary Arts is also at the Civic Center and exhibits architecture and contemporary art from around the world in its five main galleries and outdoor sculpture garden. Scottsdale is home to spring training for Major League Baseball's San Francisco Giants, Scottsdale Stadium is located off of Route 101 on Osborn Road. The Arizona Diamondbacks call Salt River Fields at Talking Stick Stadium home for their spring training games.